Here in the blogging world we share not only our views on different aspects of life but also on blog writing itself. Yesterday coincidentally, there were two posts on the subject of the content that is written on daily basis. One blogger thought that there is an excess of posts and the posts themselves don’t contain any worthwhile content. The other one was of the opposite opinion, though not in answer to the first one. As some of you might have read my post yesterday on the etiquettes of award nominations. So today I have another question, coming from those bloggers, how many times should a writer post on his/ her blog a day? In other words, should there be a limit to the number of times we can post on our own blog? Another question related to this , what sort of content we should be posting? 1. It is a free world ( at least in the blogosphere) and people who have their blogs , (either free or paid by them) it is their space, and they have full freedom to post as many time a day on their space as they want. 2. What sort of posts should be put on the blogs. Anything that the readers of that blogger want to read and that person wants to post! Why should someone object on the content of my post or that of someone else? If you are not happy with what someone is posting, you can simply not read it. 3. Bloggers love to write. They are here to write. And the content they post should be of their own choice. If my love is writing serious stuff, I will do that. If someone loves writing poetry then that person can write poems to their heart’s content. There are blog writers who write amazing stories and flash fiction, they should be free to indulge in their passion.The stories some of us write may not be award-winning or very profound, but this is the way to develop the writing talent. The proficiency comes with practice. Words become our tools of expression and we develop a friendship with the Lexicon. Our posts may not enrapture our readers or cause a ripple in the universe, but we are trying to get there. And we will, given enough practice. I will be grateful for your feedback in comments . Let me know what are your thoughts on this. And I hope that this post doesn’t cause offense to anyone. That is not my aim. Just sharing my thoughts. Previous Post Rory’s Three more Things! I’m of the same mindset! It’s your blog; if you love to write, you should share as much of your writing as you want. You do you–great post! I totally agree. Bloggers should be able to write whatever they want to on their blog, and people are free to not read it if they are of differing opinions or if they simply don’t like what’s written. I do too. Thanks for the feedback. I think you know my position on this lol. I detest what was said, because the author of the article I spoke about can only speak for himself (and I really think their debate was driven by financial gain). I am one who thinks its a slow day if I only post 6-8 times a day. In fact, I average 14 posts a day now. I don’t expect anyone to read all of them. In fact, my stats tell me they don’t. I average 3 posts per visitor. I write because I want to. I read blogs because I want to. I am a very selfish person. That is what I want to say. The amount and content should be the decision of the blogger. The reader can take it or leave it. Thanks for the feedback. And I do read all your posts. I agree with all of you. These are our blogs, with our own unique personalities. We should be able to blog about anything we want to, and as much or as little as we want. These are not decisions to be made by anyone but the bloggers themselves. So blog away. Blog to your heart’s content. My thoughts exactly. Thanks a lot. You’re welcome. Don’t listen to those negative nay-sayers. A thought-provoking post but I love it! I absolutely agree with all the things you said. This is a free world and we can post what we want and how many we can post. Actually, I admire you for publishing many articles in a day. That’s why I can’t catch up with your blog sometimes. 😂 So my comments are always late. 😁 Keep going and don’t mind the detractors. Love what you’ve said here! I’ve found that it really helps if you commit to a consistent schedule (keeping in mind what will work for YOU best – whether that’s once a day, once a week, once a month) – if you post regularly, that will help build your audience further, since people who enjoy your content will know when new posts are due and look forward to them. It’s a free world for both the blogger AND the follower. If the number of posts exceeds the finger of one hand, I’ll start deleting excess posts and if I think it’s drivel, I’ll delete it regardless. I simply don’t have time to read that much. If the number of posts exceeds gets the fingers on BOTH hands, I’ll probably stop following I get close to 200 emails daily. At some point, it stops being blogging and becomes spam. And that is regardless of content. You are free to publish and infinite number of posts and I am equally free to remove them from my email. Absolutely right. We should do what works for us. If its not possible for any one to be able to keep up with everything someone else is posting, then you can pick what to read and what not to. It’s your choice. I appreciate your feedback and thanks for commenting. Keep on doing the great work you’re doing. As long as we enjoy what we do and aren’t offending anyone, we can write as many or as few posts as we wish. I post several a day, but am going to have to cut back as I’m doing too much screen time. I just wish the questions and answer posts weren’t so damn interesting (though I don’t do them all)! Enjoy Sadje, enjoy. That’s what it’s all about imo. Thank you so much I appreciate your kind words and feedback. I know not the conversation posts you indicated at the start of this post, although l think Teresa must. But l am with Teresa on this. If l create 10 posts a day l feel like l haven’t fulfilled my quota, my persobal quota, not anyone else’s just mine. Blogs are an extension of our personality, that’s how l view it. Some bloggers are content to produce a post a week, a day or a couple every day, it matters not because it is their space, to do with as they see fit. Their perrogative. I produce on average between 15-21 posts per day, now of those, there might be 2-3 Reblogs of my own content, there may well be a handful of shares between 6-8, and the rest is freshly created content for the day itself. I cover a diverse range of topics because that is how my mind works. It is never happy to simply fixate on one subject. Plus people like variety. if people don’t want to read the content, then don’t read the content, l do not stipulate that l demand my readership to read everything l post, it matters not to me, l write, l create and l share that’s what l do. Some bloggers are community posters as in they like to do a lot for the community which of course ‘sharing anothers’ work is considered community spirit, some bloggers are spammers but those let me tell you when l see 3 posts every ten minute appear, those are spammers, not those who might pump out 20 posts a day over say 16 hours, then there are solo bloggers who only want small readership numbers, there are bloggers who rarely follow anyone else and build up traffic by only being followed …the thing is, it doesn’t matter what type of blogger you are or how much you write. because in the main, you are ultimately writing for yourself first – and this is NOT denying that you have a readership, you are daft if you are a blogger who thinks l ONLY write for myself and no one else, because that’s not right. All bloggers write for their readerships as well, because if you didn’t, why have a blog in the first place. You could write a journal and close yourself off from the public, or simply write in your PC. But writing comes to life only when it is read by others. As to quality content, well if it was just down to this then fine, become a professional writer – but guess what if you don’t have any buyers then you aint going nowhere either, bloggers write to provide entertainment for themselves by displaying their personality to those who wish to explore it. if a blogger can say that in one post a day and be happy – brilliant so it matters not if a blogger creates 10/20 posts a day if the readership is still happy to read it. I get on average 1000 emails a day, at one point l was getting double that, so l had to switch off certain notifications to reduce the sheer volume. Now l have my blog open, and l ensure that l check all comments and my spam content folder as well, as comments can end up there. is the real question truly about quantity of posts? Or how about those bloggers that log in and systematically like every sodding post going and you know they haven’t read anything, l would say that is more criminal than creating posts aplenty. You’re a community blogger, keeping us together, creating different challenges for the blogging community. I really admire your speed of writing and great writing at that. Creativity is a gift and it needs to be shared. Thanks for sharing your beautifully written posts. Well l am glad you enjoy them Sadje. I am prolific but l am also frenetic at my own concession, l don’t deny that. But as everyone has written here today and l agree with, it is our space. This is a problem that I think all bloggers face. If you are following hundreds of blogs, you cannot read them all. I got a useful tip, that I should write my own posts first and then pick and choose which posts from other blogs I want to read. It’s a good tip. That’s exactly what l do. I do write a lot, then l have pockets during the day of free time, so l then go to my top ten favourite bloggers first, see what they have written, read, like or comment. After that, l tend to then go to my morning and evening call out tags and see who has liked, and then visit those blogs. I simply couldn’t read every single post every day, week or even month, so l have to have some kind of routine. But it is very difficult and as Li said finding that fine balance is a real test. So true. But then no one excepts each and every post read by everyone! Let me say this better and hopefully with fewer typos: I don’t care how much anyone writes. If you feel that posting a lot of stuff every day works for you, who am I to object? If quality is no object and you’re okay with that? That’s your option. I don’t like dropping people I’ve been following, but there is no way to limit the number of posts one gets. If I used the Reader, I could sweep through everything and not read anything. I could post a ton of “likes” regardless of whether or not I’ve even glanced at the post. I don’t do that. If I don’t have the time to read it, I’m not going to pretend I did. As for quality? A lot of you can do better and should. Why? Because you CAN. If you have talent and ability, it’s a pity to waste it. Many people would give a life for the talent you waste. It took me a long time to decide to try blogging. It took me years to get good at it. Now and then, I connect with someone. Maybe I change someone’s mind or the direction of their life — a little bit. That makes me proud. Explosive bloggers trying to prove how much they can churn out as fast as possible don’t last. I’ve watched you come and watched you vanish. I’ll be interested to see how many of you are still blogging six months or a year from now. Wanna take a few bets? I hope that I am one of those sticking around as I am enjoying my writing here. I have a few “like” spammers in my group. It diminishes the value of a “like.” I am a 10-12 posts a day kind of person and I have felt bad for those who follow me through email (all 2 of them) but that is their choice and I don’t let that deter me from posting. I don’t know about my quality, I don’t really care. Some things I post because I am taking a break from my serious writing, and some things I post because I want to play around with an idea. It all comes back to what the person wants to get out of their blog. It is down to the blogger what to post and how much to post. If keeping up with the prolific writer is a problem for someone than they can pick and choose. Yep spot on, the reader can pick and choose what they want to read, and if it gets too much they can choose to walk away, ignore or unfollow that is fair do’s. I think most of us get a lot of emails, it’s the very configuration of WordPress settings. In truth though, l do not look at those, they are merely notifications, and so l tend to delete those the moment they arrive otherwise l too would become overwhelmed. So l tend to only work from my dashboard scroller and the comments page, then go from there. I did a reset of my email notification and I stopped them all. Now I get notifications of the blogs I follow on my reader. It’s more simple. Otherwise I would be deleting hundreds of email everyday. That’s exactly it, l prefer to follow from the reader only, and from my comments. I noticed a while back after reading a post on the subject by Britchy of Bitchin in the Kitchen that if a blogger comments a lot during the course of the day on a lot of blogs then many of the comments are found in the spam section of the comments section in our settings. So l make sure to read through those everyday as well, so no comments are lost. Most of the time in there, the comments are mostly spam from actual spammers, but occasionally you find a genuine comment in there from another blogger. Seems that if you like to comment on another’s post that we are restricted to how many times we can comment per day which seems at times defeatist considering that this is a communications platform. I think it’s a safety mechanism. There one guy who commented 10-15 times on a couple of my post, each. And it was the same comment. And that went into the spam. Thank God! Yes, these are the real spammers, l get perhaps 70 spam comments per day caught in that filter and like you l am thankful that’s where they end up, but occasionally you find a genuine blogger gets caught up in the process as well. I try and respond to every comment left, be this in a like, smile or comment, but l feel terrible if l find a comment from a real blogger that might have been missed. Yes, I do that too. There is room for all in the world of blogging. It is what makes it so perfect. I started out as being read to as a child. That turned to my being a reader. As an adult, I became a writer. It’s difficult for me to find balance between reading others and posting. There are only so many hours in a day. I want to make sure I post at least once a day but try for more. At this point I’m reading way more than I’m writing. I’d like to flip that around but the reading addiction is a big barrier. I don’t feel pressured much beyond that. Each cat their own rat. Carry on! Thanks a lot. Yes reading really takes up a lot of time. But reading is learning too. Agreed. Post what one wants, how they want, and however frequently they want. It’s their space, they can do with it as they please. Any criticism, unless specifically requested, should be completely ignored. Don’t like it? Don’t look at it. Period. You’re so right on all accounts. I did forgot to mention the photographer and other special interest bloggers. As you said we all do our own thing and should keep on doing it, as much and for as long as we want. Thanks for your feedback. For me writing is both a creative endeavor at times and a release of emotions at others. at times I may write something that others may see as too personal. But as you pointed out, a person’s blog is their space to do with as they wish. I hope mine does not offend, I would not want to do that. I write from my own lived experience and sometimes from complete flights of fancy and daydreams. I love my blogging community for the vast array of subjects and viewpoints. You never offend ,Carol. Blog on and write on. I couldn’t find the post you mentioned in you comment. Can you post a link? 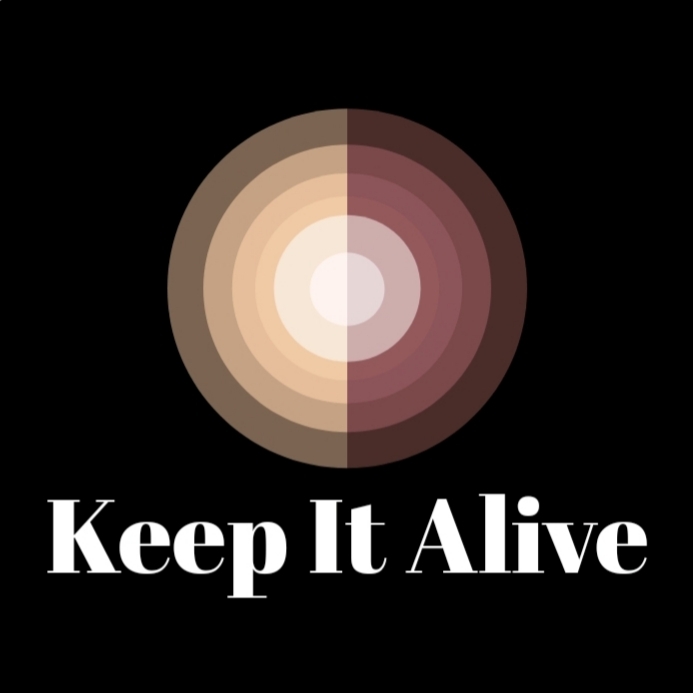 Pingback: More thoughts on Blogging — Keep it alive – A Guy Called Bloke and K9 Doodlepip! I Totally agree. Everyone should be free to make up their own mind about what to blog about and how many posts to blog. Freedom is a must.A blogger must be free to blog what they like and then others make the choice whether they like what they’ve blogged and want to follow them in future. Freedom is key. Thanks for the feedback. I agree. As one of the blog I follow, has this tag line: My personal space where I can write whatever I want! I loved this line from the start of my blogging career. I feel we should be able to write it. anytime and as much as we want! It’s our blog and no one is making others read it. Excellent post, Sadje. Bloggers and readers should be free to post and read as much as they like, of course. Some of my “followers” never comment or like my posts, so I don’t think they are actually following me. I don’t know why anyone would follow by mail and not use the reader or (even better) the app. That seems nuts to me. All that email! Gahhh! I would literally die. The people who follow are don’t comment may be shy. Visiting but not saying anything. That’s okay, I guess. But it’s a bit weird to be a shy blogger… if someone is already in public with their blog, what’s the big deal about commenting. But some don’t even leave likes, which makes me suspect they aren’t reading. Yes. That can be true too. Some people are not regulars like us. I know a few bloggers who haven’t posted in a long while. Thanks a lot, Melanie. It was in my mind so I thought why not ask everyone! For me writing the blog means sorting out my head and learning new things. Also sharing knowledges and experiences. And if people like my contents and find them useful, it is like cherry on the top. Well said, Sadje. What’s written, posted, and how often; should be up to the owner of the blog. If a reader/follower feels moved, there’s a like button. If the reader feels the type of content, or the amount is too much; there’s a unfollow button. Like you said, it’s a free world, and we all have the freedom to choose! #KeepDoingYou! Be blessed! Thanks a lot. I appreciate your kind words and thoughts. Always a pleasure! Stay blessed!